Here's an excellent piece in Vox this morning, outlining the increasing number of election-related disinformation campaigns and voting-related attacks. Sean Captain has a new piece in Fast Company that describes how some tech companies will step forward to help local jurisdictions in fighting election fraud. We all need to do our part. For most of us, that means voting. For others, it could mean volunteering to observe or help in states that still require voting at the polls. In Washington State, we're lucky. Ballots with postage paid for the return are mailed to us, making the process incredibly simple. Here's the full article: https://www.fastcompany.com/90210636/as-feds-bicker-tech-companies-volunteer-to-secure-the-election. 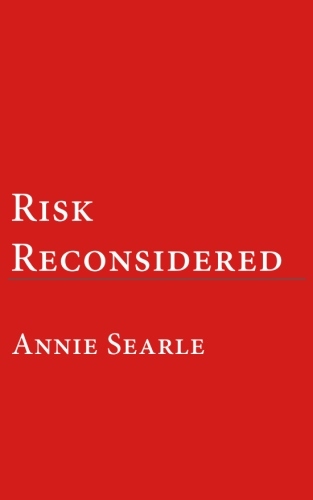 Tautegory Press has released Risk Reconsidered, a collection of 20 articles by Annie Searle, first published in The Risk Universe magazine between 2012 and 2017, refreshed with head notes on each. The book's addendum adds ten columns that the author wrote for ASA News & Notes since late 2017, most of which focus on governance, conduct and risk in the Trump administration. 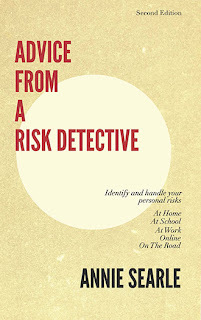 "The book provides crucial lessons on how to avoid and manage risk. As a non-expert with a social science background, I appreciated Searle's lessons on ethics and clear-eyed generalizations about best practices within complex institutional landscapes." -- Sara Curran, Director of the University of Washington Center for Studies in Demography & Ecology, and Professor of International Studies, The Jackson School. 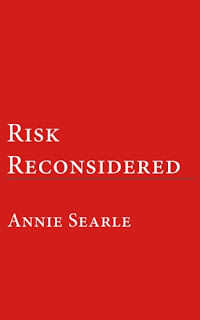 "She is absolutely right in starting the exploration of operational risk at the level of social mores and basic institutional and personal ethics....She pragmatically fits all this, and much more -- especially guidance and leadership thinking for managers and employees not 'at the top' -- into a formal, academic, and regulatory rubric and taxonomy of operational risk, offering remedies, suggesting concrete actions, teaching us and entertaining us with her insightful observations." Howard Stein, former Head of Operational Risk, the Corporate & Investment Bank, Citibank and Citigroup International. "It is a thoughtful book that every risk professional and board member should read." -- Catherine Allen, Chairman & CEO, The Santa Fe Group. "When we first established The Risk Universe magazine, the intention was to provide readers a balance between innovative risk management concepts and practical examples of how to undertake risk management. Annie's contributions over the 5.5 years we published the magazine exactly met that vision -- quality journalism, great lessons and luring readers to think beyond the norm." -- Mike Finlay, Publisher, The Risk Universe. The volume is available from Amazon for $14.95.